Wedding Photography at the Black Canyon Inn by Mark Creery. 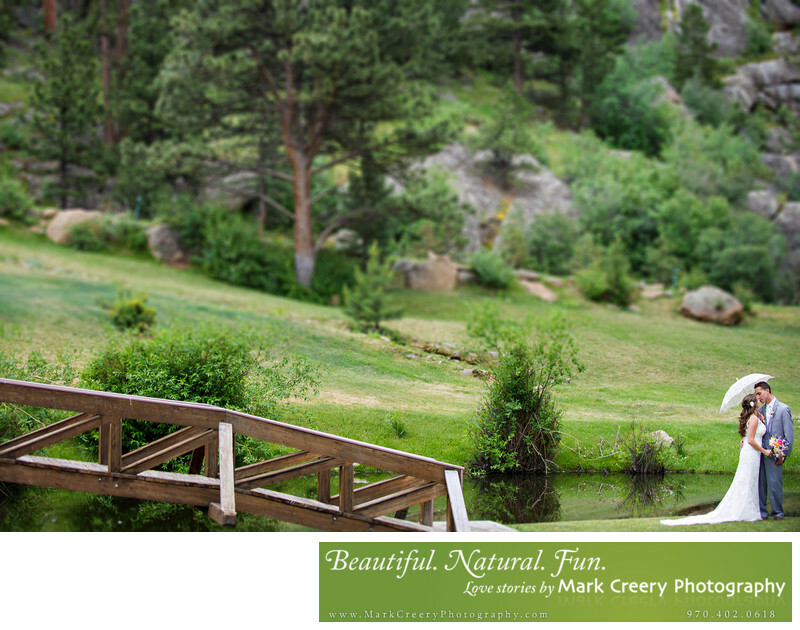 One of Estes Park's most scenic wedding venues, the Black Canyon Inn has a couple of beautiful sites to choose from. The more intimate stream-fed pond has a quaint bridge that leads to the small island that fits about 25 guests. The Wedding Pavilion has an amazing view of the mountains that are the reason you've come to Estes for your wedding in the first place. You can see Lumpy Ridge in Rocky Mountain National Park in the background as well as MacGregor Ranch. If it gets cold or you want to have a little cocktail hour while you do your photography then Sloan's Creek Event Space is a the perfect spot, as everything is close together. Location: Black Canyon Inn, Estes Park Colorado.